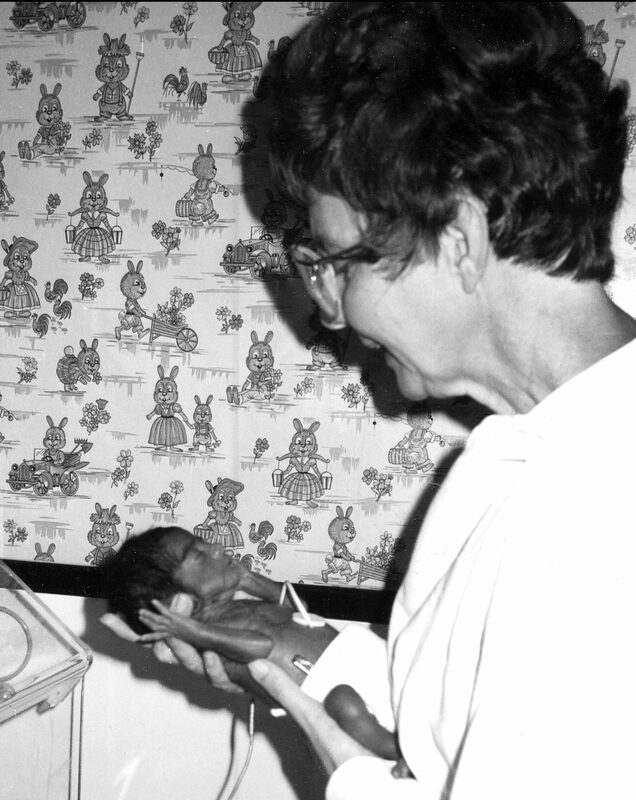 It was 1965, when Sister Margaret Mary and Sister Innocence Andres, both nurses and midwives, arrived in Chimbote, Peru to initiate a child and maternal care program. When they arrived, they found the Maternity Hospital unfinished — one wall and a concrete slab for a floor — so they spent the first year learning about the culture and customs as they knelt on dirt floors assisting women in rattan shacks giving birth in unsanitary conditions.The construction of Maternidad (Maternity Hospital) was completed about 10 months after their arrival. 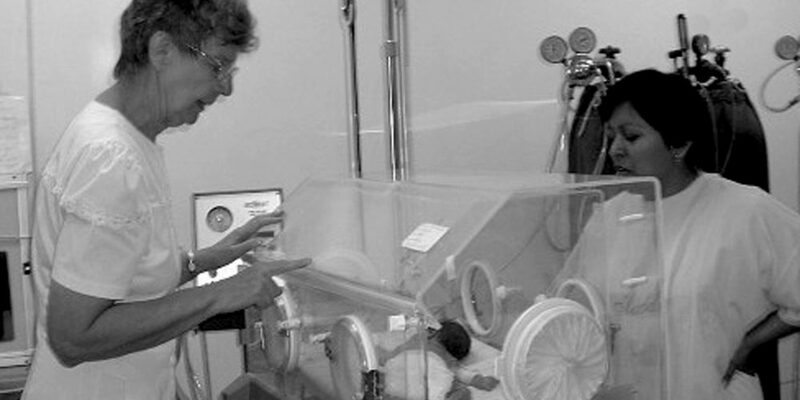 Prenatal care continued; most home deliveries were replaced by safe, sanitary deliveries in the Maternidad. The Sisters were working to the state of exhaustion, not only attending to the sick and pregnant mothers, but doing all the cleaning and laundry as well, Sister Innocence wrote in 1966. 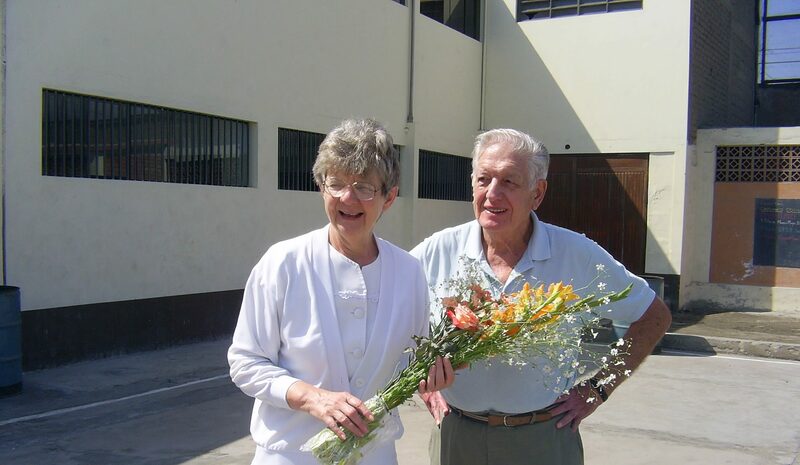 We celebrate Sister Margaret Mary Birchmeier’s 60th Jubilee and her ministry in Latin America. If you want to read more about the history of our ministry in Peru in Tapestry in Time, The Story of the Dominican Sisters Grand Rapids Michigan, 1966-2012.